Driven by love for fashion, Navy & Green dynamically continues its path - which began 50 years ago - and fairly today is recognized as one of the leading companies in the men's clothing. 1959: The company starts its creative and dynamic course in the market of mens' knitwear. 1998: The supreme design and manufacture quality along with the lifelong experience and recognition by the Greek market are now officially proved by the acquisition of the quality certificate ISO 9001. 2000: Major changes and renewal period characterized by new cooperations with well-known brands as well as new collections with brand new products. The distribution network expands all over Greece and maximum quality is established in products and services offered to the customer both in the wholesale and retail level. 2003: Dynamic promotion of the collections in even more stores all over Greece, in new shops in shop as well as international collaborations in retail sales points of well-known fashion brands. 2007-2013: The company concentrates all its commercial potentials and experience in the promotion of the NAVY & GREEN brand. NAVY & GREEN is achieving expansions of retails outlets, openings of stored in Thessaloniki Mediterranean Cosmos, notos Thessaloniki, McArthurGlen Designer Outlets, Spata, Nea Ionia, shop in shops in Hondos Center, a monobrand store on the ground floor of the Athens Metro Mall and a flagship store on the 2nd floor of the shopping centre The Mall Athens. At the same time, creates new partnerships with selected men’s clothing stores in Greece, always maintaining a “live” relationship with its customers. 2014-2016: New monobrand store openings at Piraeus, Korinthos as well as in “One Salonica”, a corner in Attica Thessaloniki, new store openings in Cyprus (Lemesos, Debenhams-Olympia and Nicosia, Debenhams Mall of Cyprus) as well as Duty-Free shops at selected border crossings (Serres, Kilkis, Evros), extend the dynamic presence of the company in Greece. In the meantime Navy & Green is launching it collection in eleven boats. 2017: The Navy & Green brand introduces three new collections. 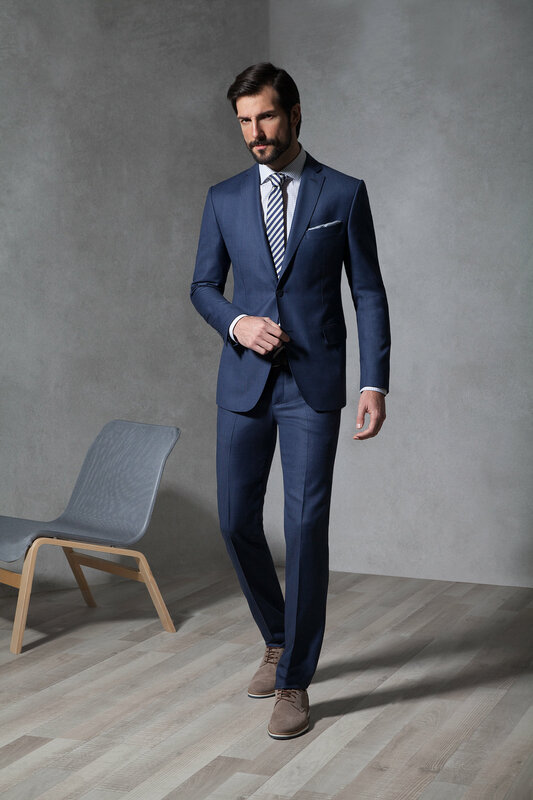 The City Elegance collection is full of business looks and formal solutions with a big variety in blazers, suits, non-iron shirts, shoes and accessories. The Urban Comfort and NGX collections are offering everyday looks with a big range of knitwear, jackets, leather, trousers, shoes and accessories suitable for every stylish man’s wardrobe. All new collections can be found in the new flagship store in Mediterranean Cosmos, entrance 1. 2018: The Navy & Green shop in shops in Attica Athens-City Link, Attica Golden Hall and Attica Thessaloniki are growing, suiting the aesthetics and visual identity of the brand.